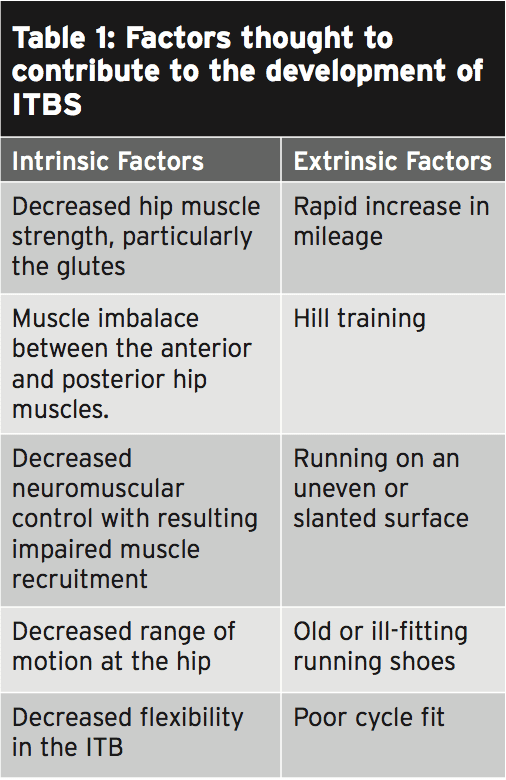 Up to 15% of all runners complain of point- specific tenderness at the lateral knee(1). The source of this pain is most often illiotibial band syndrome (ITBS), which also accounts for nearly 25% of all overuse injury complaints by cyclists(2). Most experts agree that an inflammatory process is at the root of the pain, but they debate the mechanism of injury. 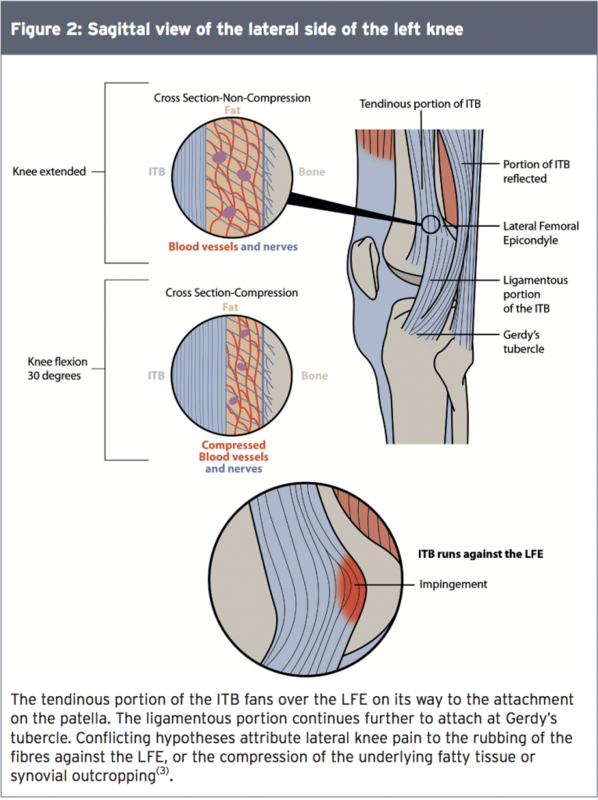 Distally, the ITB splits into two insertions – one at the patella which functions as a tendon, and one that crosses the knee joint and attaches to Gerdy’s tubercle on the proximal tibial epicondyle, functioning as a ligament. 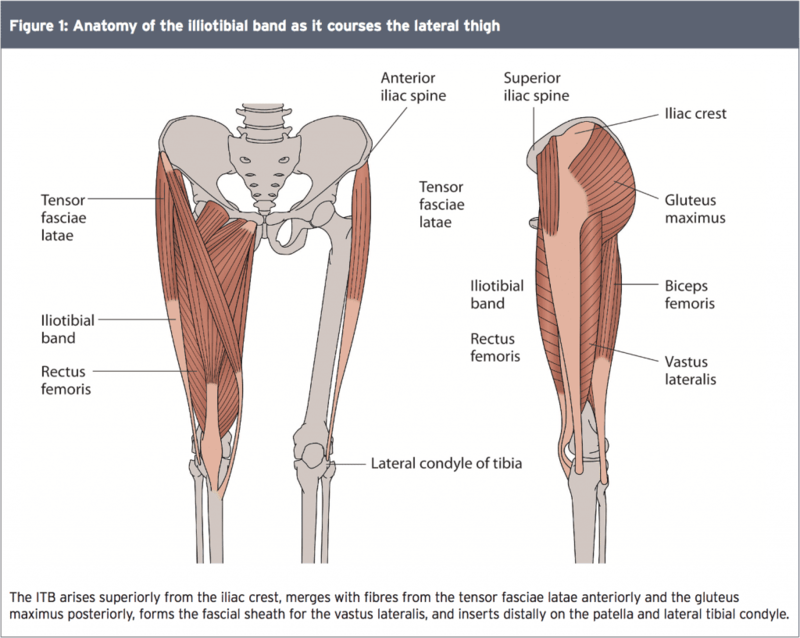 Cadaver studies show that the ITB is continuous with the lateral intermuscular septum – the fascial separation between the anterior and posterior muscular compartments of the thigh – and firmly attaches to the linea aspera, a bony ridge along the posterior femur. 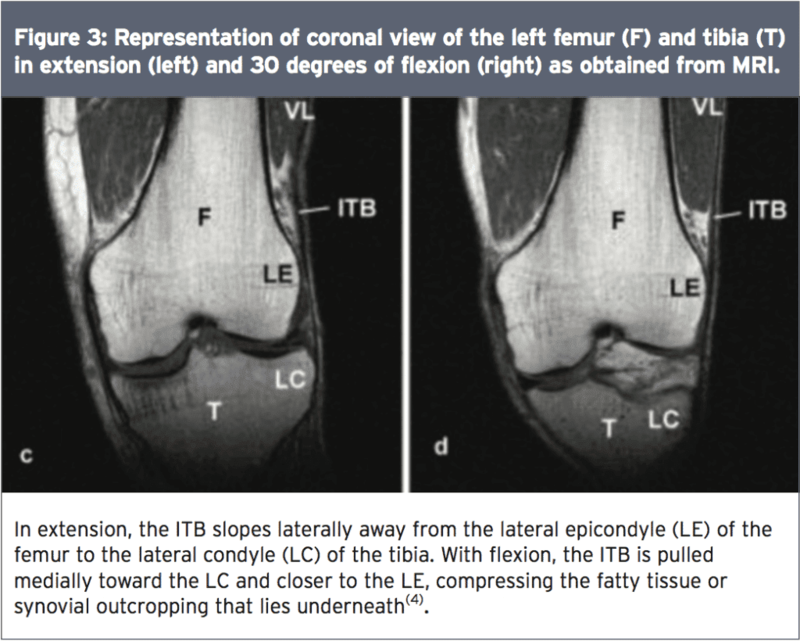 Dissection also reveals that strong fibrous strands fan out from the ITB and attach to the area just proximal to the lateral femoral epicondyle (LFE), which is exactly where most athletes feel pain (see Figure 2). The LFE appears covered with a thickened and fibrous periosteum and some strands of the ITB penetrate it to attach directly to the bone. Runners who suffer with ITBS typically show an altered movement pattern of hip adduction and knee internal rotation on the affected side. 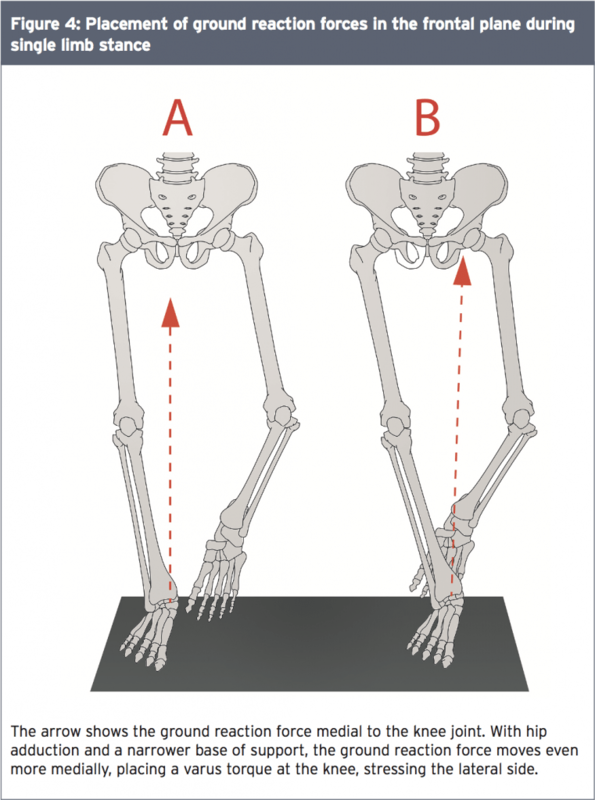 This pattern of movement showed an association with a significantly increased rate of strain on the ITB in athletes who, after evaluation, went on to develop ITBS. In the next instalment, we will explore which treatment options can most effectively influence this pattern of movement and relieve the pain of ITBS.